Listening to Bathory’s album Under the Sign of the Black Mark, this third Social Life of a Record is an investigation into the origins of the black metal sound and its impact. 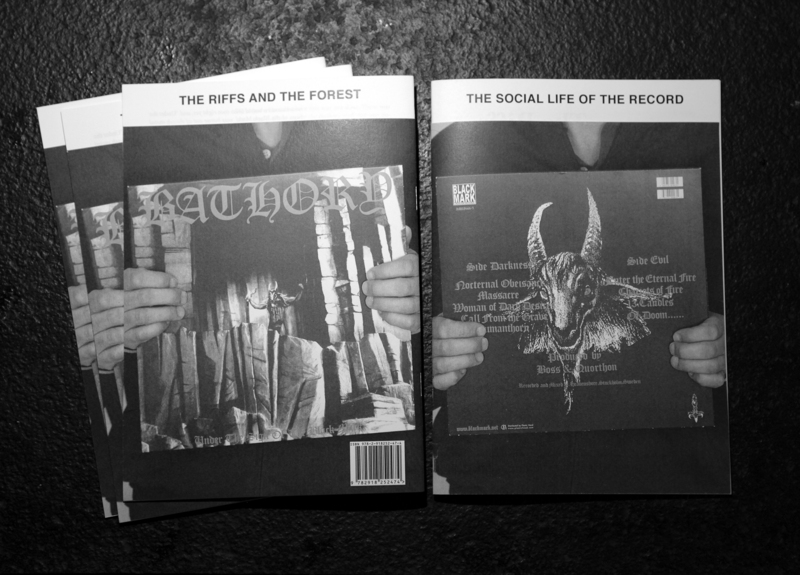 In conversation with the guitarist Jon Albjerg Ravnholt, writer and critic Staffan Boije af Gennäs discuss the outcome of this album and the birth of the black metal genre. 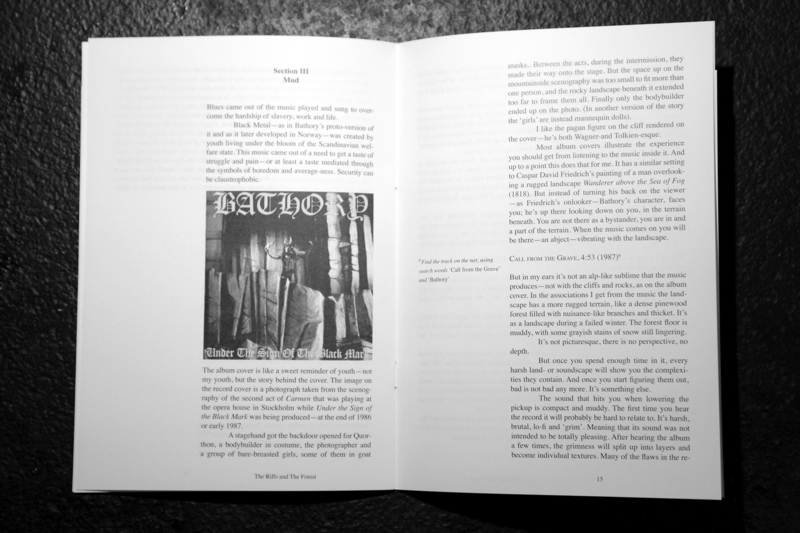 The text is full of references and indications bringing understanding to the black metal genre and it’s origins even for non-initiated. 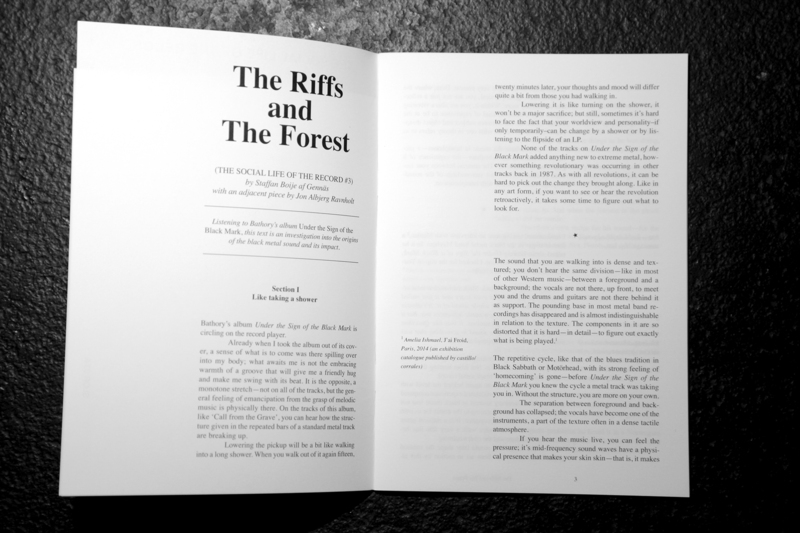 The Social Life of the Record is an occasional, non-subscription collection of texts by musicians, fans, critics, collectors, dealers, label owners, etc. — reflecting on recording, releasing, listening to, filing, flipping and DJing records today.